HighTech Garage Doors has provided commercial and residential garage door services in the environs of San Jose, CA for several years. We employ a star of garage door service technicians who are specifically trained to meet your needs. This includes providing you with replacement, repair, and installation services. These services are provided to you at reasonable and affordable rates. 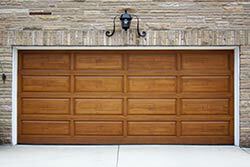 HighTech Garage Doors realizes the importance of your garage door as an entrance to your home or business. Your door must not only present well but also be secure in order to provide safety for your premises. Our experts are skilled and provide you with the best level of service on order to address your garage door issue. We employ a staff of highly trained experts. 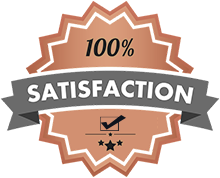 HighTech Garage Doors takes pride in knowing that the services provided lead to customers who are completely happy and satisfied. We have a reputation for excellence and delivering on our promise to deliver the highest quality garage door services. Our expert’s qualifications means that you will not have someone who is inexperienced or unqualified come to your, offering repair or installation services for your garage door. The training received by our crew provides you with an assurance of quality, expert level garage door services. Attempting to fix problems with your door as a DIY project can lead to unfortunate results. The repair of garage doors can appear to be a straightforward job, but not necessarily. Every garage door is built different. There are a variety of parts to a garage door that require the attention of a trained professional when servicing is required. Those experts we hire at HighTech Garage Doors arrive at your resident or commercial property and get to work immediately. They can quickly solve your door problems, allowing you to get back to those matters most important to you. HighTech Garage Doors is prepared and well trained to meet any garage door requirement. We have available a wide array of spare parts and lift mechanisms for your garage door. These components are made by the top part makers that are in the business today. Parts that we make available include brackets and door struts, remotes, receivers and monitors. Everything you need we have in order to make sure that your garage door is in the best shape it can be at all times. HighTech Garage Doors understands that your garage door may experience some type of entry problem at some point. We look at your garage door locks, looking for an breaks or places where a key may become stuck. HighTech Garage Doors has the ability to create emergency keys for use when being locked out keeps you from your entering your car, truck and other items stored in your garage. Our service professionals will help you so that you don't accidentally destroy your things attempting to gain entry on your own. Our service professionals have been providing service in your San Jose, CA for many years. We are distinguished from the competition in that we stand by you at all times, providing the equipment and door parts needed to address your issue. We Provide New Garage Door in the following zip codes.